I roll hard with my Chevy Metal Foo Fighters crew. 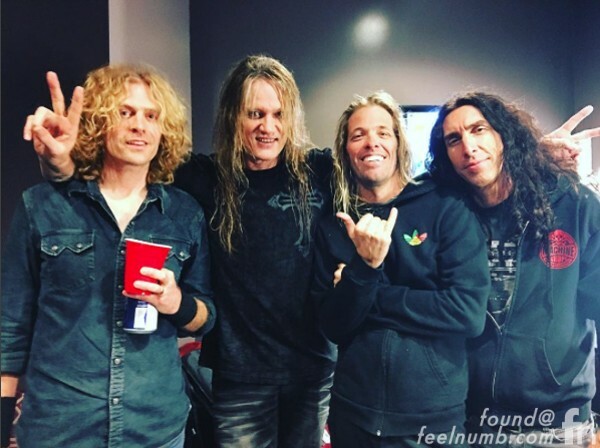 Here’s a photo I took backstage of Wiley Hodgden, Sebastian Bach, Taylor Hawkins and Brent Woods backstage at a private corporate gig for Hyundai Motors on November 16, 2016 at The NOVO Theatre in Los Angeles, California. 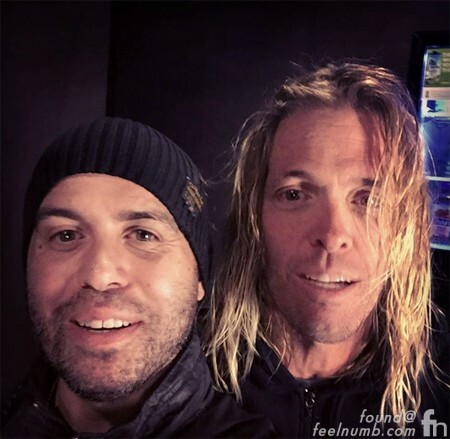 Chevy Metal is the ultimate side-project cover band founded by Hawkins of the Foo Fighters along with bassist Hodgden. They play a bunch of dirt rock covers from bands like Van Halen, Faces, Mountain, The Rolling Stones and much much more. They usually have a string of guest appearances at their gigs and on this night momentous night they had Sebastian Bach join them on stage along with Chevy Metal part-time guitarist and Bach’s full-time guitarist Brent Woods. Check out a few of the covers I recorded from the side-stage of Bach killing it!!! Bach played a few Skid Row tunes and also covered Jane’s Addiction “Mountain Song”. Here’s a backstage selfie of myself with my friend “The Hawk”. Click photo or link below to check out some of Chevy Metal’s top guest spots!!! 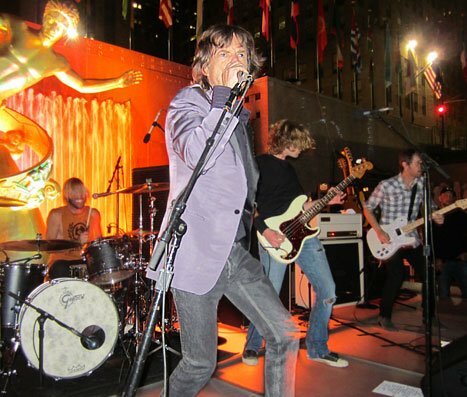 Yeah, that is Mick Jagger!! !